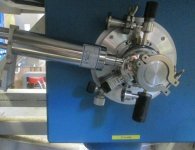 The NuTime spectrometer is the further evolution of the HiTime spectrometer, which superseded the original Belle spectrometer. 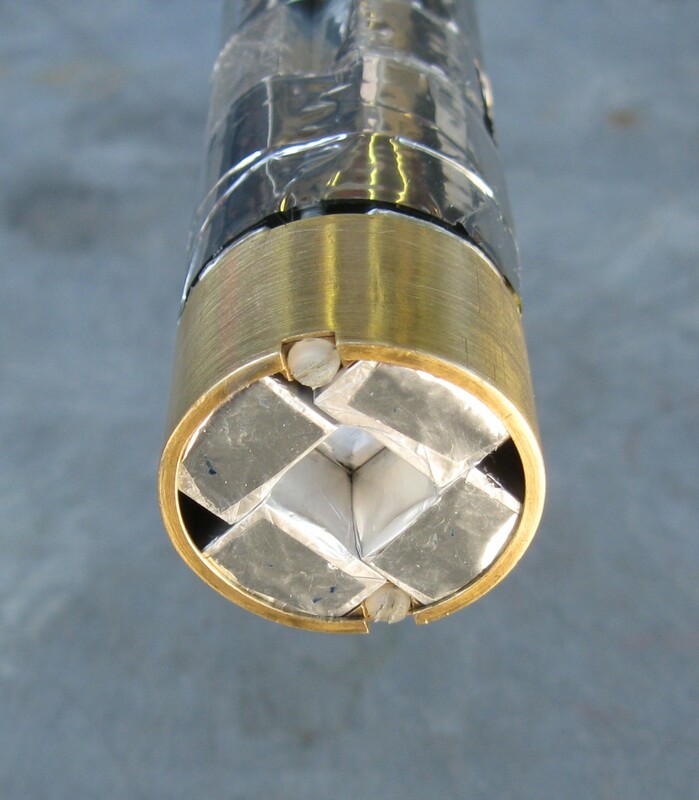 The superconducting magnet is a new American Magnetics solenoid with larger bore and greatly improved homogeneity and alignment over the original. 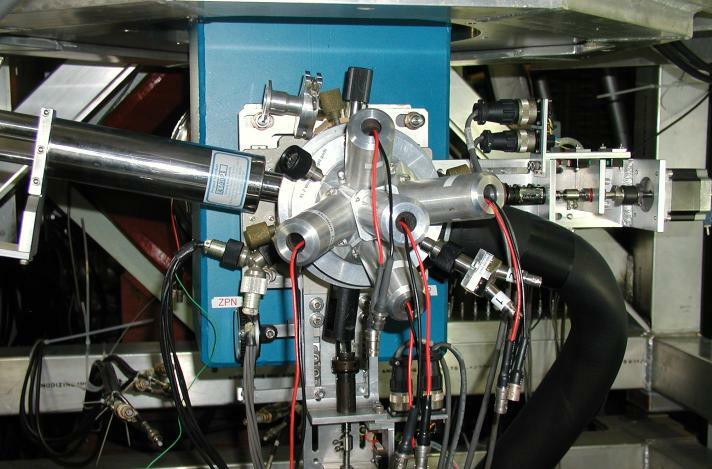 The present configuration uses the HiTime counter arrangement, with high-field mesh dynode phototubes, in a slightly modified form, and the original cryostat. 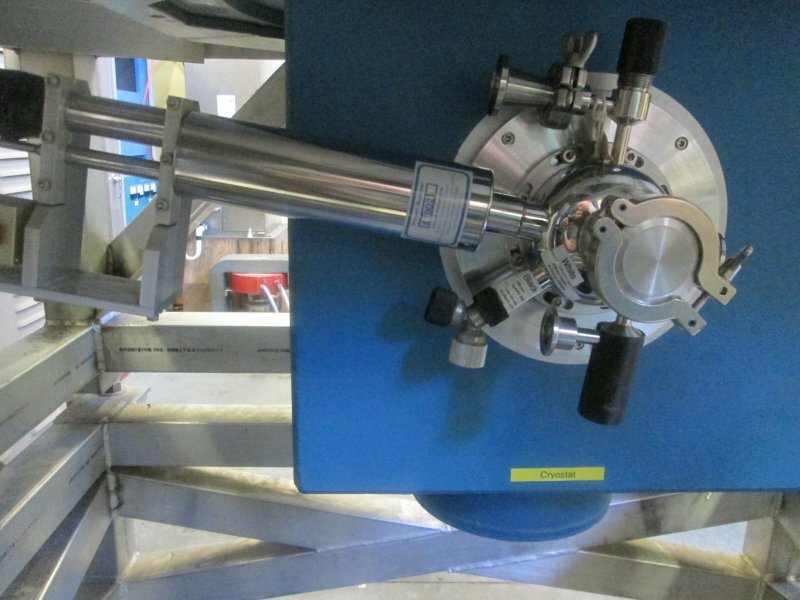 When complete, it will use a new counter system with SiPM detectors, plus a new cryostat. 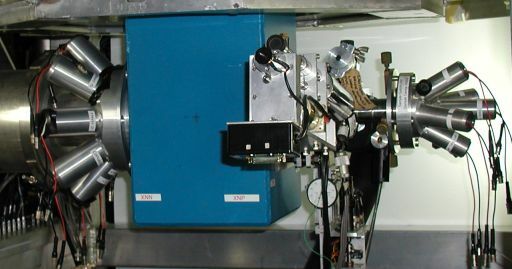 This spectromenter, like its ancestors, is dedicated to studies with high transverse fields and high frequencies, so its counters all have short light guides with high-field mesh dynode phototubes: the muon counter and active collimator each have four phototubes, and are mounted in the beamline vacuum; the four positron counters and the muon veto form a cryostat insert and sample holder. The magnet is a superconducting shaped solenoid delivering 7.0 T (70 kG) with excellent homogeneity (needs final measurement). 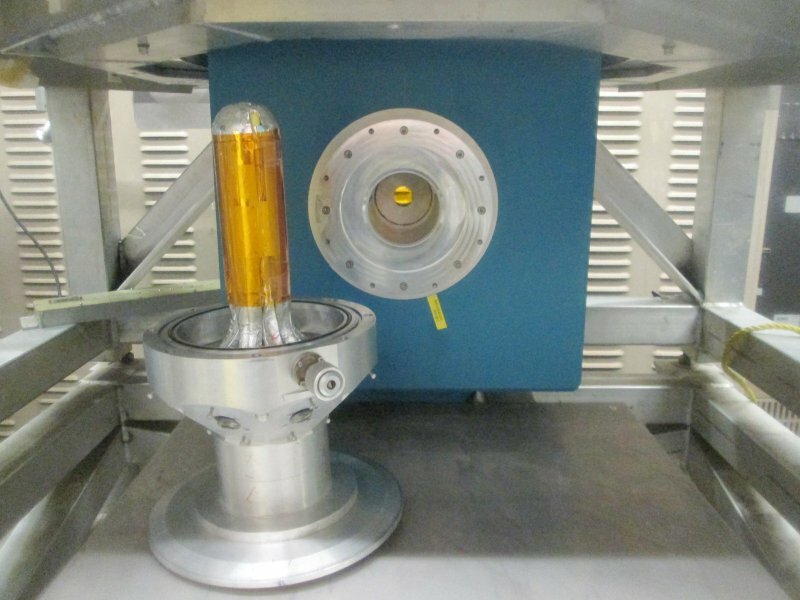 The muon beam intensity at the sample at lower fields is reduced from the HiTime performance, until new counters make use of the widened bore. 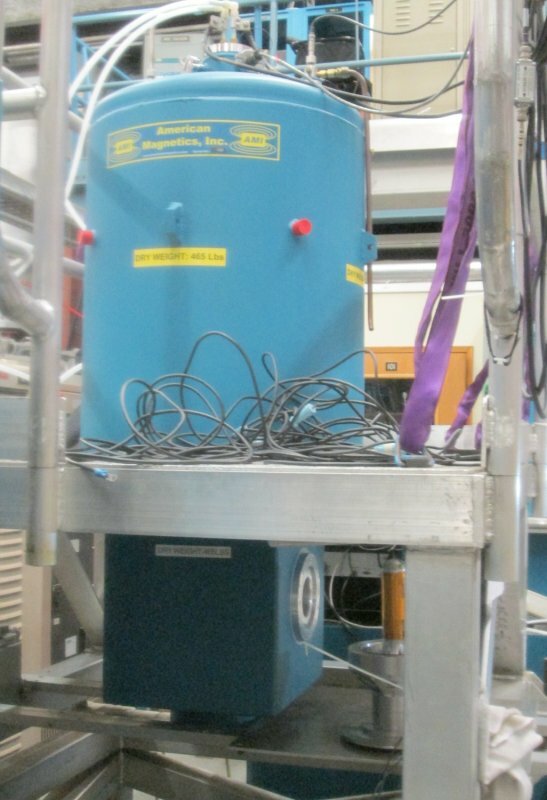 Although the counters are optimized for high transverse fields (with spin-rotated muons), NuTime can be used for longitudinal field experiments by using a backward counter that replaces the four side-counter scintillators, along with the muon veto counter as the forward counter. 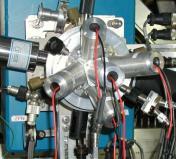 This spectrometer iteration could be “the one”, with “NuTime” written as νt, meaning frequency times time. If the time in question is the precession period, then that reduces to 1.